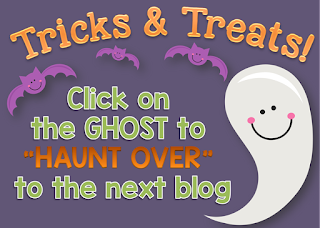 If you have been directed here for the Tricks & Eats blog hop, welcome! I'm so happy to see you here! 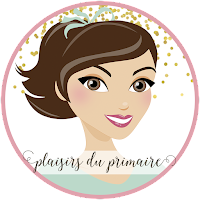 I teach in French, so you will notice that I have a lot of French content - share with your French Immersion teachers! 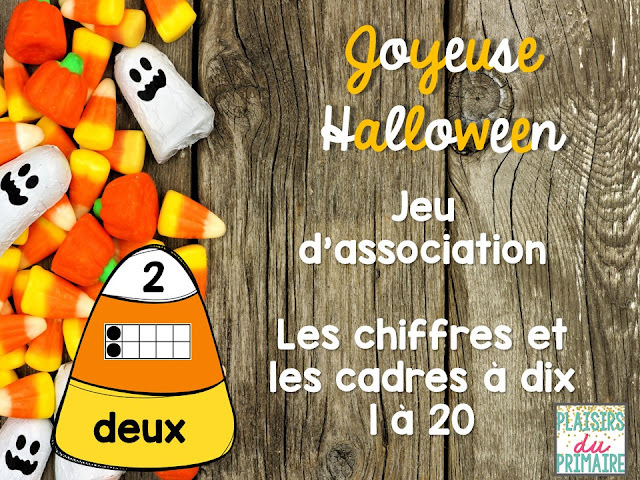 Je suis tellement heureuse de faire partie de cet échange.. j'espère que vous trouverez pleines de belles ressources pour embellir vos deux dernières semaines du mois d'octobre! At my school , there are several SEVERE allergies - for the past few years, ever since our board has became strict on the no-treat thing, I've supported #keepitteal and the #tealpumpkinproject. I put a teal pumpkin in my class to let students know that I do not hand out food treats due to food allergies. I tell the kids that if they see a teal pumpkin on someone's doorstep that this also shows that these people will give something other than food to kids who have allergies on Trick or Treat night. Some of my favourite ideas to hand out to my students are glow sticks, bouncy balls & Halloween light-up necklaces! Right now, my students are learning to associate numbers to number words. I've seen this floating around on Pinterest in English.. but have never seen them in French - so I made a set and I'd love to share these with you! They include recording sheets as well! I hope you can put them to good use - Happy trick or treat to you!! This will only be free for the duration of this hop, so click the image above to grab it while you can, and please remember that product feedback is ALWAYS appreciated! All you need to do is enter the Secret Code below into the Rafflecopter form for each of the blog posts you visit! Simply enter this word in the proper space before "Haunting Over" to the next blog in our loop for more tips, tricks and freebies! 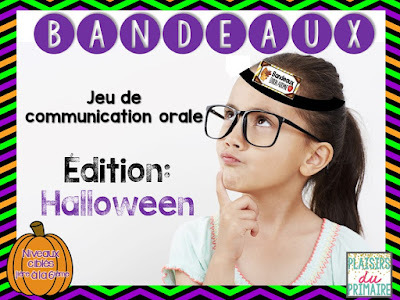 If you are looking for more Halloween activities - head to my store to see "Bandeaux" a Hedbandz style game that is LOTS of fun - especially during the week of Halloween!! Happy Halloween! Enjoy all the treats you will collect along the way! Wow, am I ever glad I am here reading your blog today! I did not know about the Teal Pumpkins! Thank you so much for such an informative post! 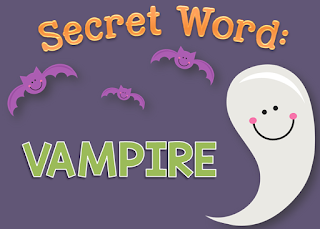 What a great freebie - we were just working on labeling - such a great lead in to other types of writing and a great way to develop vocabulary! I love that you display a teal pumpkin in your classroom too. I always give my students non food treats as they get way to much sugar as it is! Thanks for sharing. Thanks for sharing about the teal pumpkin idea! What a great concept! I love the teal pumpkin idea! Thank you for sharing.